Is it Now Time for Google to 'Focus On The User'? When you search for something local in Google, for example an Indian restaurant in Newcastle upon Tyne, the set of results you see are limited and are powered by Google+. This means that the top search results you see are for businesses which have the highest number of reviews and ratings on Google+. The results, based on Google’s own ‘Google+ Ecosystem’, disregard local reviews from other third parties such as TripAdvisor, Yelp, ZocDoc, RateMDs and many, many more. Focus On The User believes that Europeans using Google to search for things in their area should see results that also take into account these other trusted and frequently used sites. It all started back in 2010, when the Directorate-General for Competition (DG-COMP) opened an investigation to see whether Google was breaking the European competition law, which states that companies with a dominant market position cannot engage in anti-competitive conduct that excludes competitors from the market. Now, the brains behind the Focus On The User website are offering the commission a settlement proposal which they believe will benefit European consumers and local businesses alike. What is Focus On The User’s proposal? Focus On The User believes the answer is no. So the engineers from the few different companies ‘built a proof of concept in the form of a Google Chrome extension’ called ‘Focus on The User – Local’. This extension allows users to see results based on Google’s organic search relevance algorithm, as well as than the Google+ based algorithm. This means that users can choose see results based on reviews and ratings from the entire web, which includes Trip Advisor etc. It’s clever, because the group is using Google’s own algorithm to prove their point. How different are the two sets of search results? 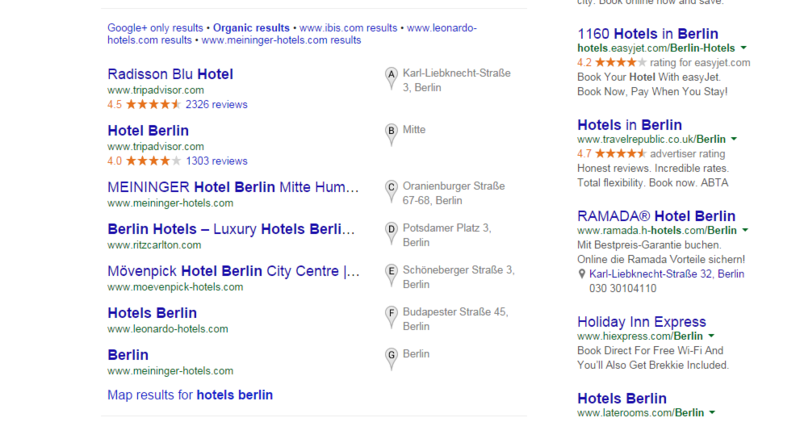 As you can see, the results are pretty different, with a completely different list of hotels being offered. 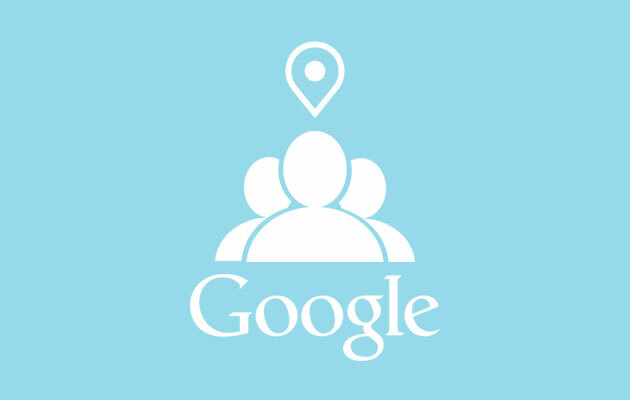 Focus On The User Local has been invented in an attempt to offer users of Google search results which are more relevant and useful to consumers than the ones currently being offered. 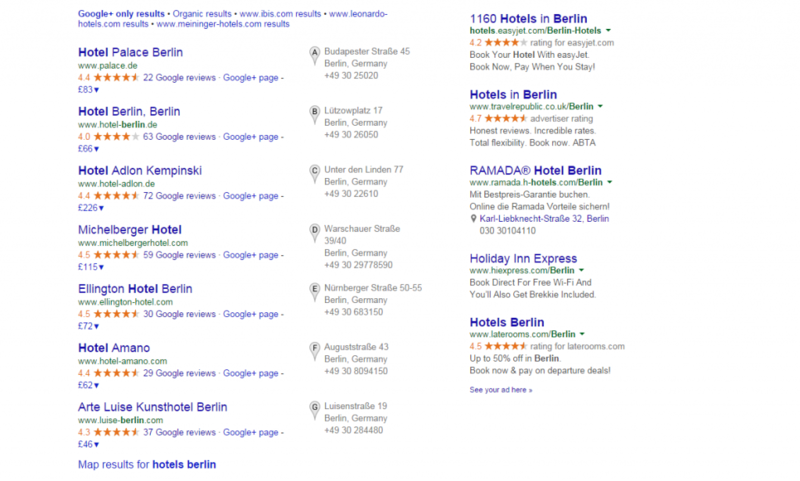 The group wants to shape EU opinion on how Google currently presents its local search results. They want users to see results based on non-Google websites such as TripAdvisor, which also contain thousands of reviews. They argue that Google is not giving us the best results, but that by using their own organic search algorithm, they can. The investigation by the European Commision looks set to continue for a while, so only time will tell which search results are deemed ‘best’ for us European consumers. You can download Focus On The User here. Let us know what you think.